The itinerary is planned, the tickets are booked. It’s time to pack, but what exactly should you pack? 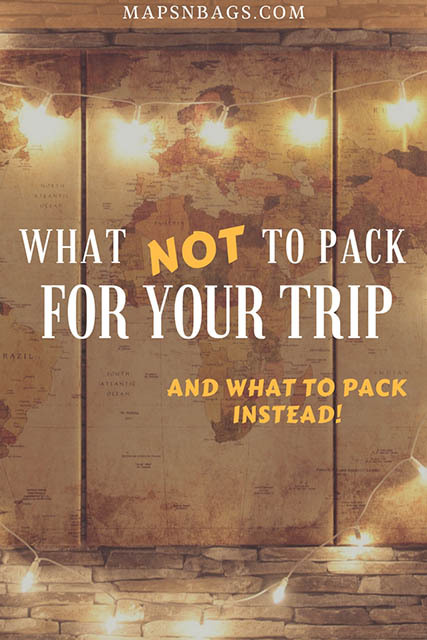 Well, I’ll publish in the next weeks another post completely dedicated to packing tips and tricks, but today’s post is to help you with what not to pack for your trip. To stop you from stuffing your backpack with unnecessary things and finding good substitutes for those items. 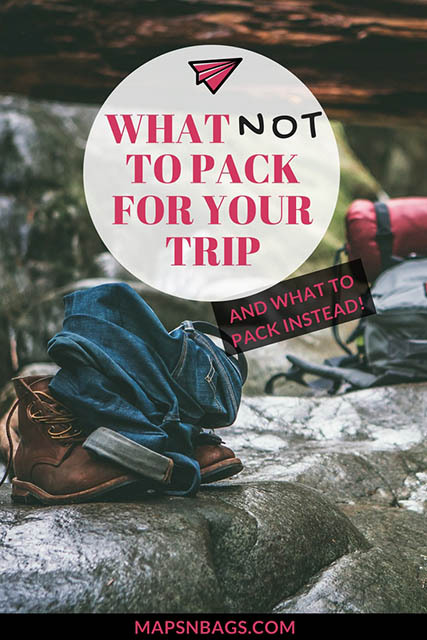 Most people end up packing way more items than they need to only after realize they could have perfectly traveled without them. Repeating clothes isn’t such a bad thing, in fact, that’s something most travelers do to save some space in their backpacks. Paper maps aren’t the most practical things to carry around on your vacation because they will eventually tear apart as you fold and unfold them many times, or they get lost, wet, etc. It’s just not handy to get around using paper maps and they also are a huge tourist flag, in my opinion. “Hey, look at me! I’m a tourist!”. And being a tourist attracts scammers. Nope, thanks! Instead, you can download to your mobile the map of the city you’re going to visit. Yes, just like that! Google Maps offers this feature for free and you can keep the map offline for 30 days. There are many other travel apps that can you help before, during, and after your trip. 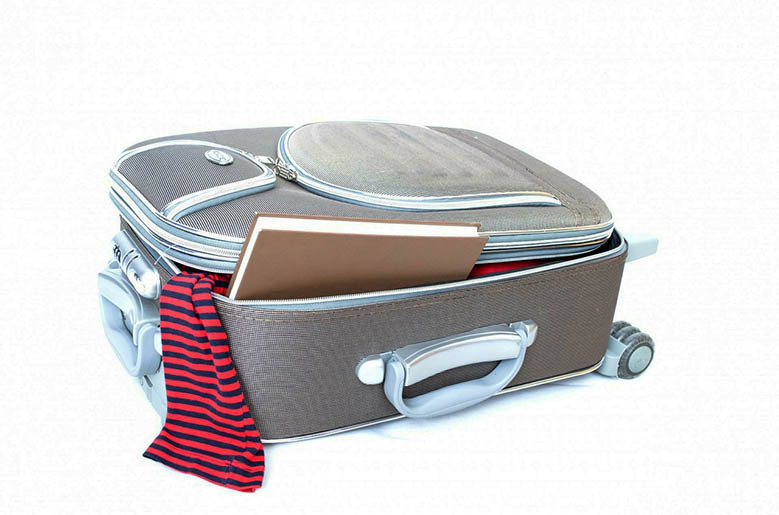 The most important rule to packing light is to leave things that can be easily replaced with more practical items. Books and magazines come up high on this list as they’re big and heavy! I love to read, this is one of my biggest passions. But when I travel I don’t take any books with me, at least not anymore. I must be honest, I did it a couple of times and I totally regret it for a couple of reasons. First, because it ruins your book! It creates plenty of dog ears throughout the pages of the book, and I hate it. Second, because afterward, I realize that I only read it a couple of times and it was more weight than entertainment. How to solve this? Bring a small and lightweight Kindle instead! I’m the happiest person since I bought it because I can download many e-books or even study using my PDF files. To send the PDFs to my Kindle, I just have to send it as an attachment to my Kindle’s email address. On top of that, it has a glare-free screen which is a treat to your eyes. Especially in sunny places. 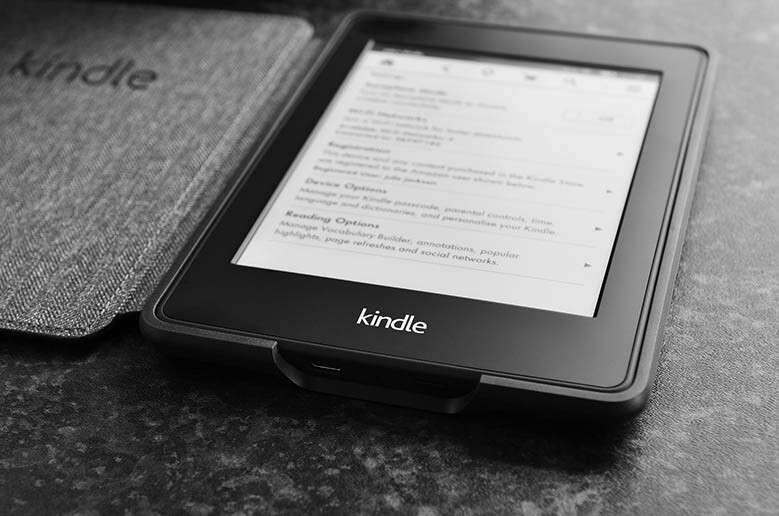 Honestly, a kindle is a must you should add to your packing list for a tropical vacation. 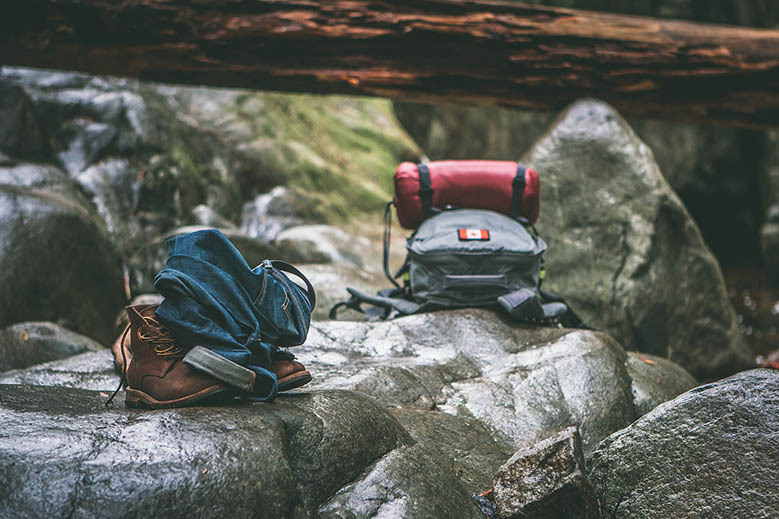 It goes without saying that good shoes are probably the most important item you can pack for your trip, but they don’t necessarily need to be new. Brand new shoes are stiff and can be uncomfortable after you have walked with them for a while. This goes to all sorts of shoes, by the way. Don’t think that new running shoes can’t cause you pain, because they can! Instead, you can either go for a walk, or a few, to break your shoes in, or pack other shoes that aren’t so new anymore. Forget the idea of having one kind of shoes for each situation. A pair of flats, flipflops, running shoes, high heels…no, you won’t need them all! You won’t be away for so long, so you can definitely live without them. Even if you’re going to travel for a long period, you just can’t pack your home in your backpack, can you? So, try to keep it as simple as possible and pack two pairs only. 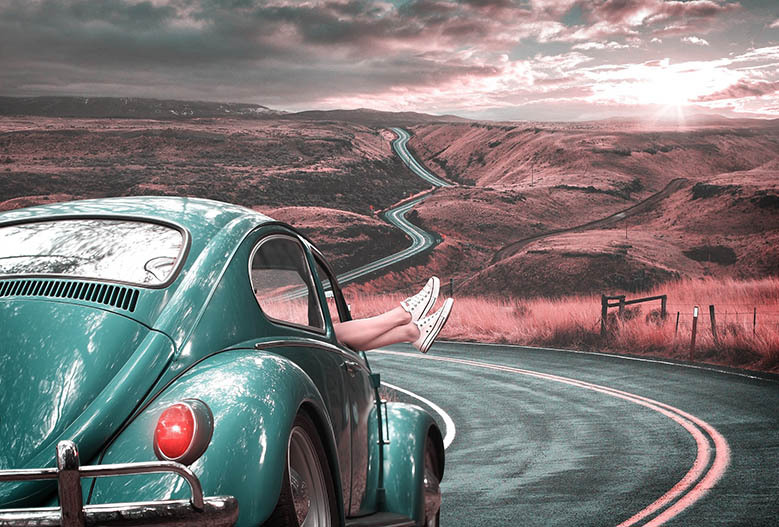 The pair you’ll wear the most of the time (Preferably, running shoes as they’re very comfy to walk great distances) and flat sandals or flipflops. 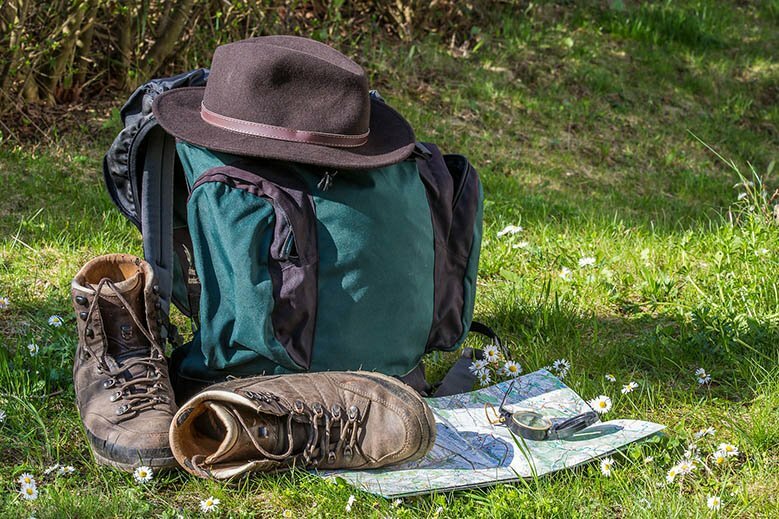 Also, hiking boots require a lot of capacity of your backpack, so unless you’re really going on a hiking vacation, a super adventure in South America where you will have to walk a lot over different kinds of soil, just take your running shoes with you. If you’re really packing them, wear the boots while you’re traveling from one city to another to save more space in your baggage. We always think we will use more clothes than we actually do. That’s a fact! To avoid that use the rule of 7. Bring a few changes of clothes enough for 7 days, even if you’re traveling for a longer period. Washing clothes is better than carrying too much weight. And you can perfectly wear the same jeans more than once. Also, if you’re traveling in the winter, don’t pack more than one coat. Seriously, pack one thick coat and layer up. Don’t want to have the same outfit in photos? Then pack lightweight scarfs that will give you a totally new look with little effort. Hot tip: Avoid clothes that need ironing. Even if you have long hair like Rapunzel you won’t need a whole bottle of shampoo or conditioner. Also, if you have liquid make up (more than 100ml), you can’t even bring them in your carry-on bag! Well, here comes a piece of big advice: go natural! It just saves so much space in your backpack! If natural isn’t an option, then choose for 2 in 1 items, like UV cream + BB cream. For the big cosmetic bottles, you can instead buy small silicon bottles to bring your shampoo, conditioner, body wash, etc. Why silicon? Because they are more durable and that’s better for the environment. Us, travelers, should always try to travel in the most sustainable way as possible. And if you would buy a normal plastic bottle, I mean those thin ones, you’d probably throw them away after a couple of times you have used them. That is not really what we want, right? Wearing jewelry overseas looks fashionable, however, it also looks like you’re a new target for scammers because you draw a lot of attention to yourself. On top of that, you can also lose your precious ring, necklace, watch, etc. In addition, I don’t think I’ve ever seen an Airbnb that would cover missing things. You’ll probably need a specific travel insurance policy for it. And let’s say you’re traveling to a city where you want to bargain the price of souvenirs and local products, wearing golden rings isn’t going to get you a good deal. The rule here is to keep it simple. If possible don’t bring any. Hey, I’m not saying you shouldn’t shower, but if you’re staying in a hotel, they will give you nice and soft towels. Sometimes, even an Airbnb host will give you towels, but the real problem is when the place is a bit nasty. My fiancé and I once stayed in an Airbnb that wasn’t really clean…so I had my doubts about the towels’ cleanness as well. I found incredible microfiber towels on Amazon that are lightweight and dry quickly. Besides being super absorbent they have a soft touch on the skin and are highly versatile. E.g, you can use these towels for camping, swimming, gym, etc. Just like bulky towels, there is one more thing that I refuse to pack if I’m staying in a hotel: blow dryer. Forget book lights, multiple USBs, heavy tripod, laptop, etc. Unless you’re going to work remotely and really need those items, you can just use your smartphone or a tablet for basically everything you would do with those items. To check in, to transfer photos from your camera, for social media, access your internet banking, you name it. And instead of the heavy tripod, invest in a lightweight one. You’ll thank me later! I went to Vienna with a super heavy tripod in my backpack, after the first day neither my fiancé and I wanted to drag that thing anymore. Also, if your camera doesn’t have an option to transfer the photos to your mobile, just purchase an extra memory card for your camera. There is a considerable difference in measures and weight between an SD card and a laptop. 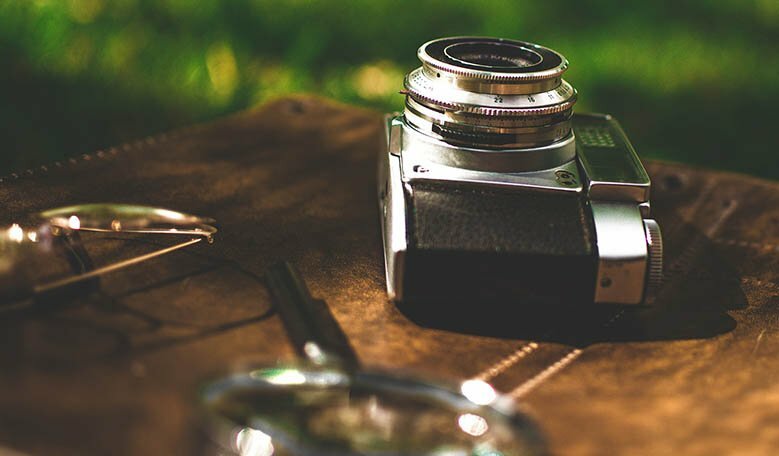 We all love to take awesome shots in those breathtaking places, but camera lenses are very sensitive and take considerably more space than they should. If you have one lens with a focal length range somewhere between 20-80mm it will be more than enough. But if you don’t, no need to worry. Your kit lens, which usually has a focal length of 18mm-55mm, can also make gorgeous shots. What items would you add to this list? Drop your suggestion in the comments! Spread the word! Pin this post to your Pinterest travel board! This entry was posted in Packing Tips and tagged slider, Things you shouldn’t do. On my first backpacking trip I took wayyyy too many pairs of shoes, haha! And all the make-up and jewellery I never wore too! Hi Milou, I did the same when I went to Vienna and I regret it so much! Packing light definitely saves a lot of hassle. Shoes can be bulky, right? Especially in the winter! Traveling in the summer has its benefits, for sure. We have learned the fewer clothes, the better Bruna. No way we could pack our full wardrobe because bringing it all is impossible LOL. If anything we take 10 day’s worth of clothes, to cover ourselves for a little over a week. Head to the laundry place. Get clothes washed. Then you can dive back in with 10 days of clothing. Smart tips! Been having a hard time ;having my heavy tripod at home. I’ve looked at lightweight ones but they never seem stable (or cheap) enough. Yeah, that’s the problem with lightweight tripods. They’re usually very expensive if you want a stable one. But I think it’s worth the investment because they last long.